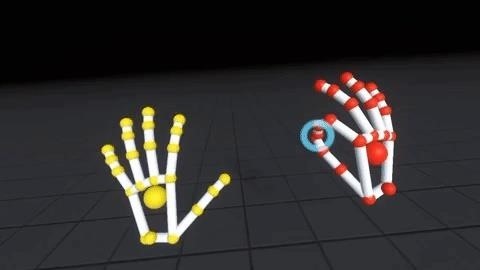 Patent holder Genedics, LLC has filed a legal complaint alleging that hand-tracking startup Leap Motion is infringing on its intellectual property. In documents (registration and payment required) filed on Feb. 15 in the US District Court of Delaware, Genedics claims that Leap Motion's motion control technology, specifically Leap Motion's controllers and software (particularly as used with the Unity 3D engine), infringes on its patents. In the filing, Genedics includes a YouTube video from Leap Motion's Orion product, as well as developer documentation in exhibits accompanying the legal filing. The alleged infringed-upon patents, US Patent Numbers 8,319,773 and 8,902,225, are the same patents at the heart of Genedic's ongoing legal action against Meta Company. The patents are both titled "Method and Apparatus for User Interface Communications with an Image Manipulator" and pertain to image interaction in a three-dimensional space with projectors displaying images and sensors identifying user input. According to the new lawsuit, Genedics has attempted to resolve the matter out of court, initially notifying Leap Motion via a letter on Aug. 24, 2017, just after it had proceeded with its lawsuit against Meta. Leap Motion has yet to respond to the complaint in court. And when contacted by Next Reality, a Leap Motion spokesperson declined to comment. Outside of its court actions, little is known about Genedics or its products. In the court filing, Genedics is described as a "small innnovation-driven technology development company" with patents commercialized through Fortune 100 companies. When asked for comment regarding the Leap Motion case, Genedics CEO Gene Fein declined, but said that he plans to issue a statement next week. However, in 2017, he did give Next Reality a statement with regard to his company's action against Meta. "After 15 years in business, working collaboratively with our partners, while creating over 100 issued patents, we have filed our first lawsuit," said Fein back in August of 2017. "We are looking forward to receiving the full protections afforded to inventors under the law. It is important, not just for us, but for all inventors, to know that the laws of our land intended to foster and protect intellectual property creators may be asserted when necessary, even if it is once every fifteen years, as is the case with Genedics." It looks like it's time to amend the last part of that statement. At this rate, any augmented and virtual reality company utilizing a hand tracking interface could find a letter from Genedics in its mailbox. Stay tuned, the augmented reality legal drama is just getting started.